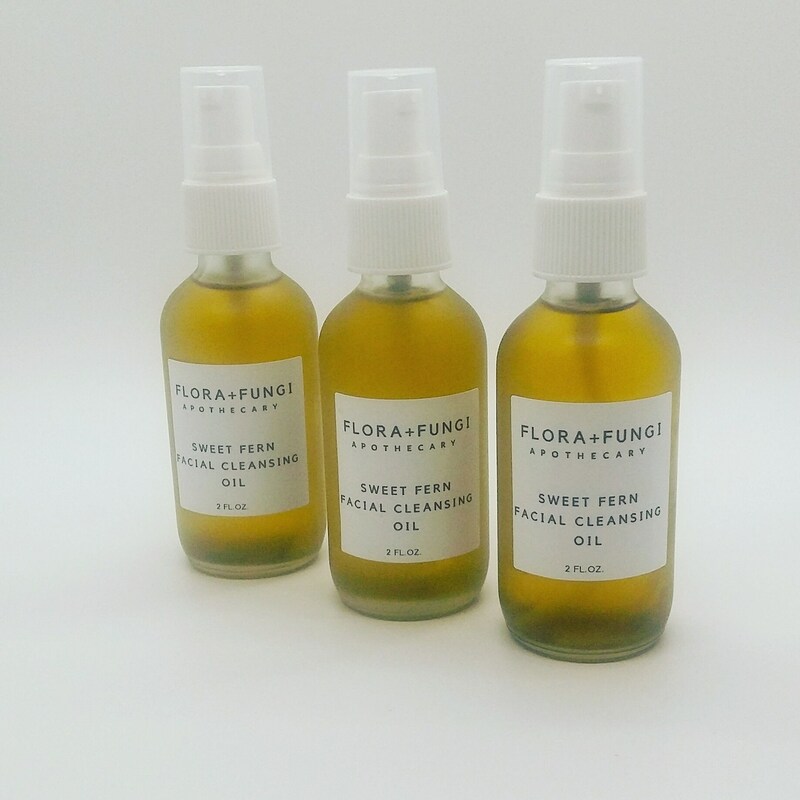 Cleansing skin with oil may seem counter-intuitive to those wishing for glowing skin, but in reality, cleansing skin with oil allows us to remove dirt build-ups and impurities from our face without disrupting the skin's delicate acid mantle. The pH of many modern products and soaps is far too high for our delicate facial skin (which the ideal pH for a product is 4.5-5.5), causing a disruption of skin's pH leading to breakouts, excessive drying and other problems. 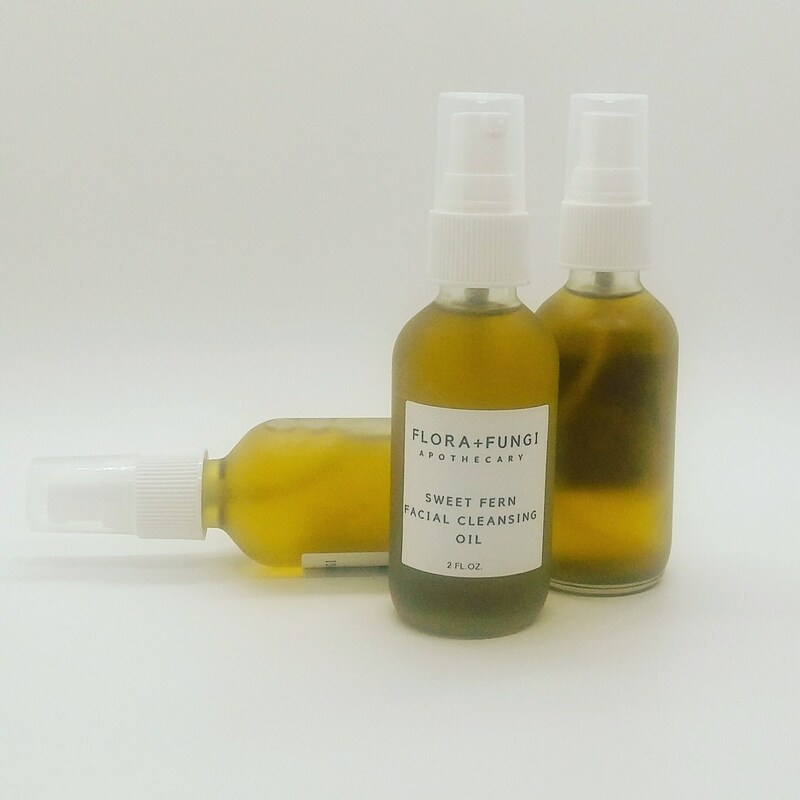 We infuse safflower and sunflower oils with Sweet Fern ( Comptonia Peregrina) and Goldenrod (Solidago) and blend them with essential oils to create a cleansing oil that will remove dirt, build up and other impurities and leave your skin glowing. Sweet Fern is one of the forgotten treasures of the plant world- although modern herbalists rarely know this herb, Indigenous cultures across this continent have used this herb for centuries for its soothing anti-inflammatory properties and for skin conditions such as acne, rashes, and eczema. 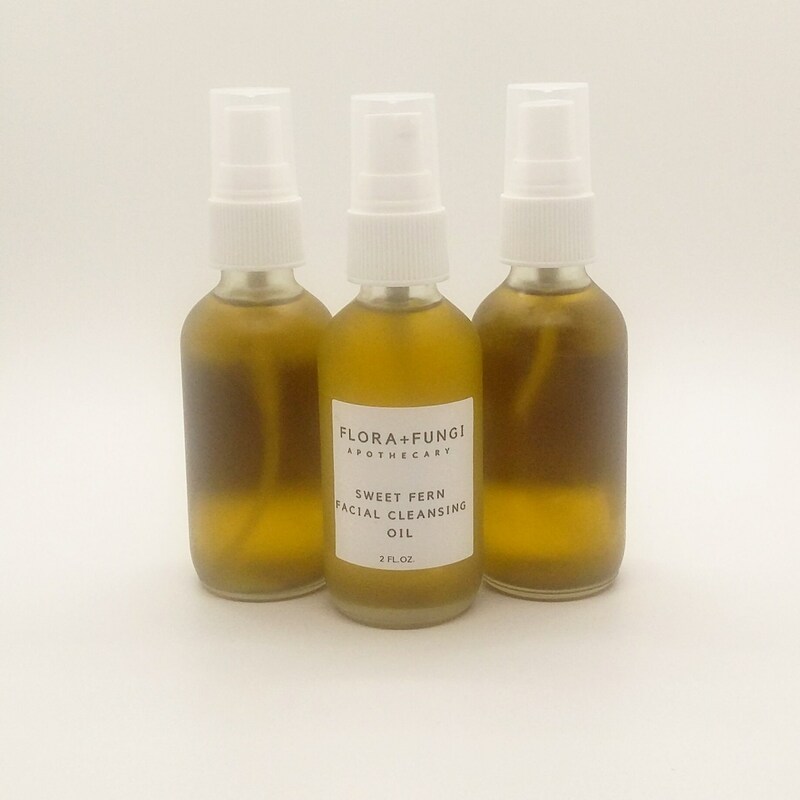 Sweet Fern also helps naturally balance skin's pH, making it an ideal addition to a facial cleanser. Although often overlooked or considered a weed, Goldenrod is full of beneficial botanical properties. 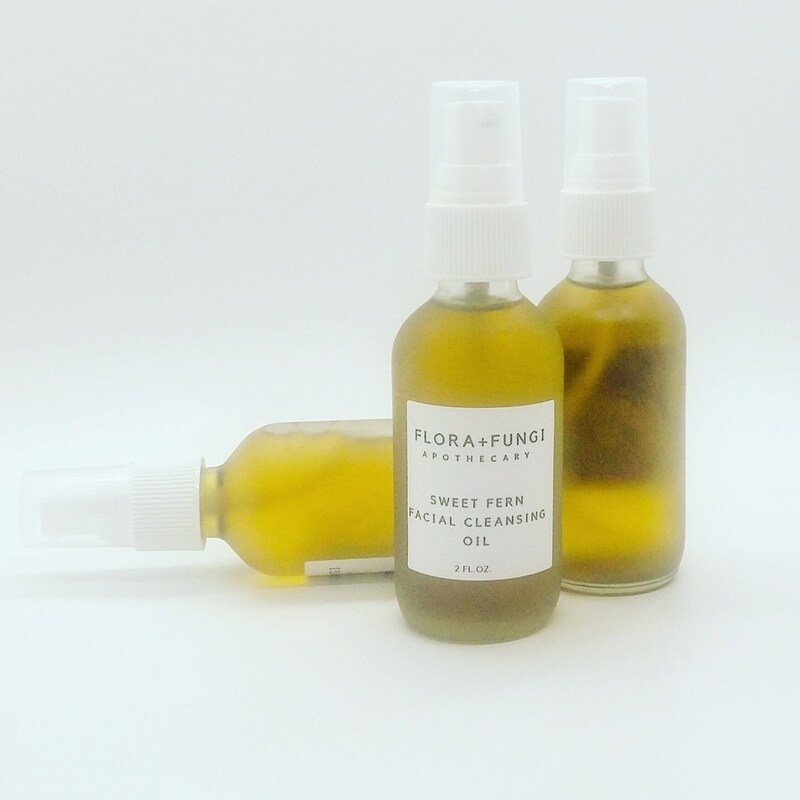 Goldenrod is anti-inflammatory and anti-bacterial, making it a perfect addition to a facial cleanser. Hyssop oil is gentle on skin, yet has the ability to balance oil production and cleanse pores. Hyssop has been considered a sacred herb for millennia due to its cleansing properties. Rosemary's antibacterial and antiseptic properties make it an ideal addition to a facial cleanser. Rosemary also helps protect skin from sun damage and free radicals.